NaPoWriMo Prompt – And now our (optional) prompt. Today I challenge you to find a news article, and to write a poem using (mostly, if not only) words from the article! You can repeat them, splice them, and rearrange them however you like. Although the vocabulary may be “just the facts,” your poem doesn’t have to be — it doesn’t even have to be about the subject of the news article itself. Happy writing! West Valley View – this is the article I gleaned my poem from. Online you can’t read the whole story. Saturday families came out to participate in a cloth diaper change to break the guinness world record for the amount of cloth diapers changed at same time. And to show cloth diapers are friendlier to the environment. We will have to wait and see if the record was broken. The other day I posted a couple of my concrete poems for the #somum chat. I enjoy participating in live twitter chats. It gives you an opportunity to connect with like-minded people, and sometimes you may even get free goodies. 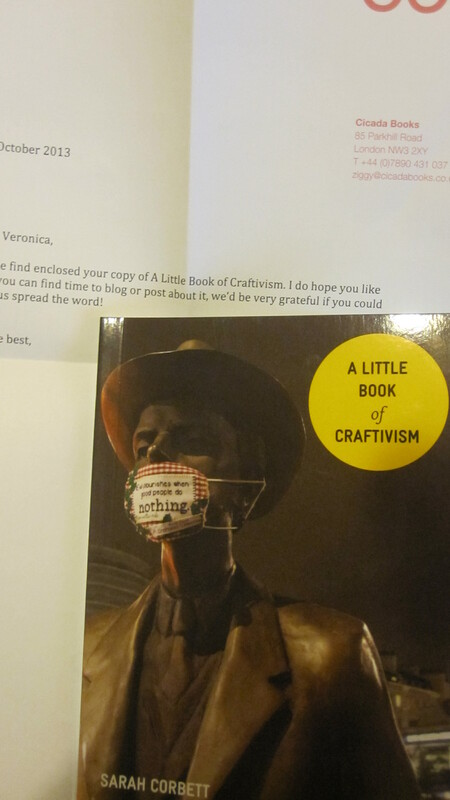 I was sent a copy of A Little Book of Craftivism by Sarah Corbett for participating in the September #somum chat. So… What is craftivism? The introduction tells us Betty Greer coined the term in 2003 – “a way of looking at life where voicing opinions through creativity makes your voice stronger, your compassion deeper.” And wouldn’t you know it? I have a craftivist in my own home. 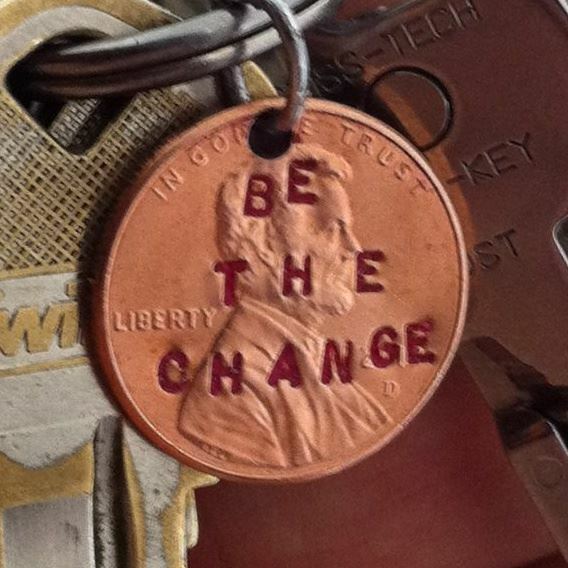 My husband has made several “be the change” pennies, handing them out to people who need (or want) change. This is the page, that as a poet, caught my attention. Yes, even poetry can change the world – 100TPC. If you are an activist tired of just signing your name on the dotted line of petitions or marching in a protest rally the government doesn’t acknowledge, you will enjoy reading A Little Book of Craftivism. 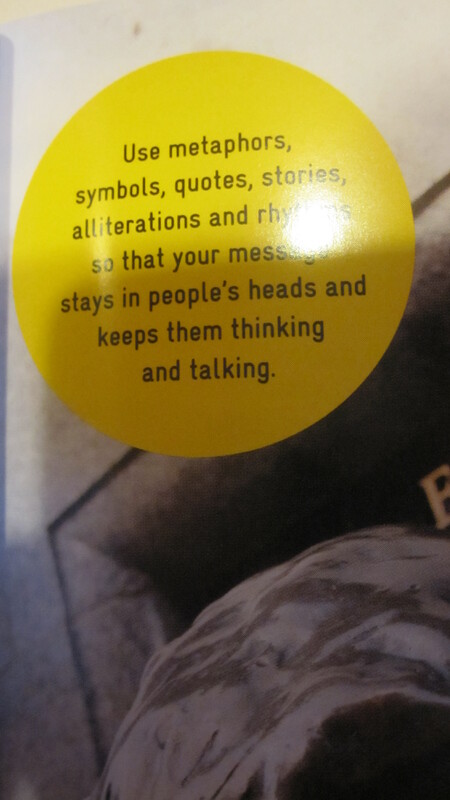 It has great pictures and how to instructions to help you get crafty about your activism.